Police quickly whisked away Quebec Premier Philippe Couillard from the Parc De L’espoir in Montreal’s Gay Village Thursday evening, after an individual screamed about “revolution” and appeared to throw something at the politician. 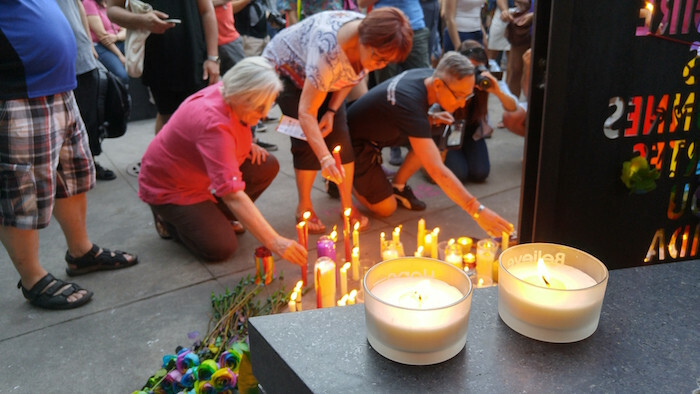 The tense moment came towards the end of a vigil held in commemoration for the victims of last week’s mass shooting at the Pulse nightclub in Orlando, Florida, where 49 people were killed by a gunman in an attack against the LGBTQ community. 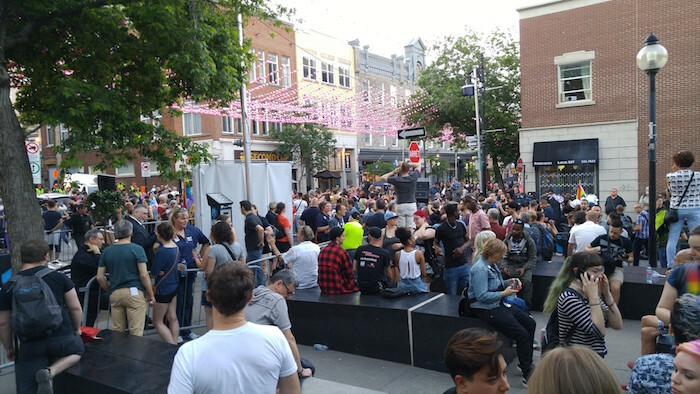 The person who lashed out at Couillard was identified as Esteban Torres, a member of the activist group Pink Bloc, which organized the vigil in collaboration with Pride Montreal. Torres was one of the speakers earlier in the event, and his outburst was met with audible gasps and groans from the assembled crowd of roughly 3,000 people, who began calling for renewed calm in response. Torres was quickly apprehended and arrested, and Montreal police officials on-site indicated that Premier Couillard had not sustained any injuries from the encounter. Couillard was one of several politicians invited to speak at the vigil, including Montreal Mayor Denis Coderre, Quebec MNA Manon Massé, and Minister of Canadian Heritage Mélanie Joly. A small pocket of protesters shouted anti-austerity slogans at Couillard and Coderre as they each took the stage, but were quickly drowned out by boos from the rest of the crowd. “They don’t even deserve their 15 seconds on the news tonight,” Mayor Coderre quipped after one of the protesters’ sporadic disruptions. Despite these outbursts, the mood at the vigil was otherwise positive, with plenty of cheering, rainbow flags and smiles. A single moment of silence was observed as the names and ages of the Pulse shooting victims were read aloud. 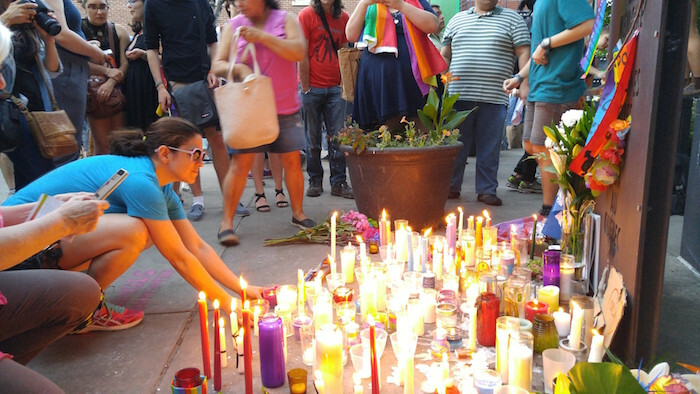 Jean-Sébastien Boudreault, Vice President of Montreal Pride, told The Link he hoped the people in attendance left with a feeling of hope in the wake of the mass shooting in Orlando. However, he underlined the continued importance of Pride movements and solidarity between LGBTQ persons and their straight allies.